The Manhattan New School Parent-Teacher Association supports the school community, working together to help our children grow into confident, enthusiastic life-long learners! We invite the MNS parent community to join us in our many activities, whether an annual event or one of the school's committees. MNS PTA has set up a range of shopping rewards programs that give back money to the school every time you shop on Amazon, at the Fairway Supermarket, and when ordering products via Box Tops. Throughout the year the PTA organizes a myriad of fundraising activities, led by the MNS Annual Appeal. 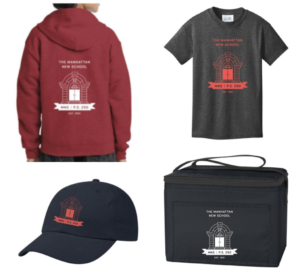 Funds raised help pay for the teaching assistant staff, music and arts programs, science supplies and more. The PTA offers after-school programs where children experience new activities, develop self-confidence, improve their social skills and make lasting memories. 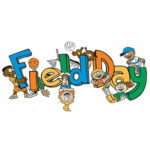 Wear your MNS Field Day T-Shirt and head off for a fun-filled day at the field!! Join your MNS friends at the MNS Auction and Gala on Saturday, April 13, 7-10pm at the Bohemian National Hall for a fabulous evening of cocktails, food, and your favorite 80's tunes! Tickets cost $120/person until April 12. Purchase your tickets today! Annual MNS Outing to Met Game! 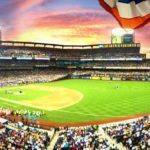 Join your friends to cheer on the New York Mets as they play the Miami Marlins! Tickets are $45 and can be purchased here. Act fast, space is limited!